Hello Cardinal fans! What a fantastic day to be alive! Hey, did you know Louisville beat FSU Saturday by 43 points? Well of coarse you did. 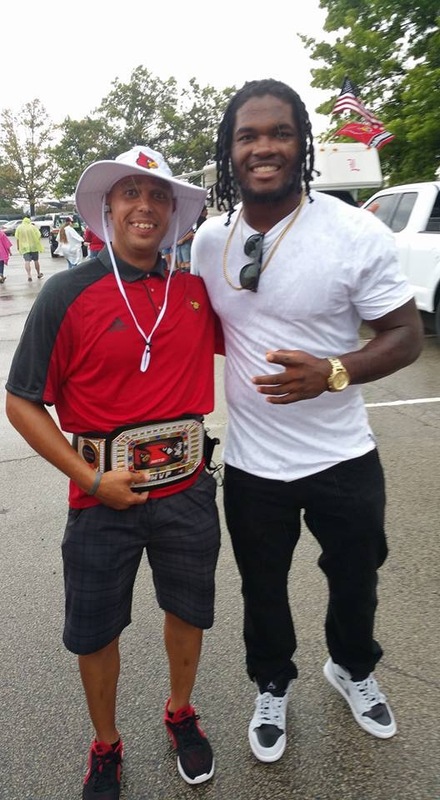 Did you know we crowned another Awards Center Tailgate MVP? Oh, you didn’t? Let me tell you all about it. This week’s winner was Robby Dull. Robby put in some major work at the tailgate starting Friday night. He came from out of town, met up with us, and helped with the setup Friday night. Then our guy hooked it up with a whole Direct TV setup! Thanks to Robby, not only did we get set up faster, everyone was able to enjoy watching GameDay live from our tailgate. Thanks again Robby, you the man! 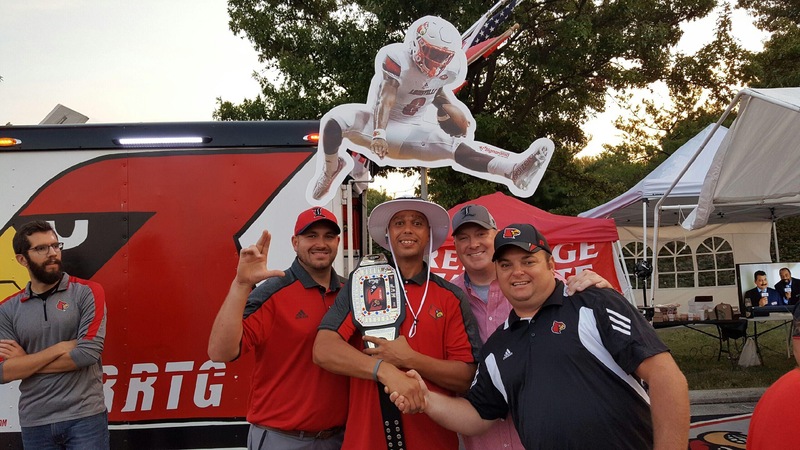 September 19, 2016 in Tailgate of the Week, Tailgate Photos.